I received the Xtool vag401 a year or so ago that I ordered from xtooleshop.com for 55usd including shipping. The scan tool doesn’t require a computer to run. 99% of the time, you won’t even need VCDS if you have this handy little scanner. For less than 60 euro, its a great thing to throw in your tool box when you don’t want to break out your laptop. Highly recommended. I have read thousand of posts in forums and I would like to answer/deal with some most concerned and frequently asked questions about the Xtool VAG401 scanner. 1. How to I know it is a real Xtool tool? XTool Tech makes a variety of scanners, and appears to have been around awhile. The main thing I’d be sure of is to ensure you get the genuine article, as software updates require the serial number of the unit, and a password on the screen listing version numbers to access the updates. 2. What software version is on the VAG 401 scanner? This question is similar to update. An upgrade will always let us know its version. I will explain later. 3. Fail to update on official website/ Can’t access the updates at Xtool’s website? The X-tool VAG401 scan tool comes with a MicroSD card reader used for the updates. I figured out to update mine. Download the update application from the xtool’s website: http://www.xtooltech.com/ (change the web language first), and use the VAG401 serial number as the user name, and the password from the about screen as the password. You do not need to register. I downloaded the updates, and it said the update was successful. When I started the diagnosis, it loaded a new .bin file. The latest update was 2/5/15, V8.28, I think it adds air-bag stuff from the previous. They have been activating updating it. And if you buy the VAG401 professional tool from good dealer, you just need to provide your device ID and they will send the update file via Email. My seller does but I do not need. 4. What’s good comparing with VCDS? VCDS, I love VCDS however I need a computer independent scan tool that would not require me to drag out my laptop. Xtool is the stand-alone tool. It has a few other functions that VCDS doesn’t have, such as mileage changes, etc. It can code modules, do adaptations, etc. For less then 100 bucks it’s a cool robust useful device that offers portability that VCDS does not. 5. Where can I found the user manual? The scanner is easy to use by simple press the operation buttons.once you open the device and it will tell you step by step,just like iphone. I tried to test readiness in Passat using the VAG401 scanner and disable the hill hold function in the ABS controller. The VAG401 scanner displays “Function not supported on this vehicle” error. I got the scanner firmware updated, so I was cable to flip bit 0 of byte 16 in the coding block. So mu suggestion sia that you check the VAG401 function list first, if your option is not included in the list, give it up. If it does, get the firmware updated and try again. 7. What the USB dongle is for? 8. I tried to program a remote key with it but no luck. 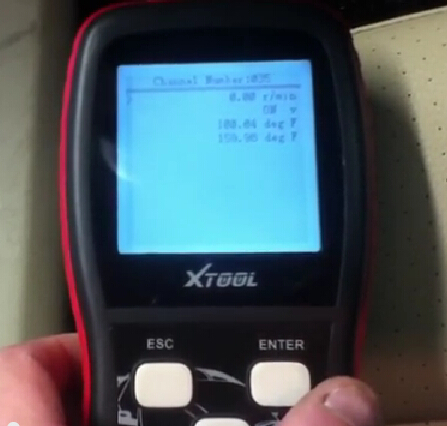 Xtool VAG401 is only a scan tool, cannot program remote or program ECU. 9. Way over priced being it is a generic scanner. No, it is not a generic scanner. It is Volkswagen VW/Audi/Skoda/Seat specific, can scan all of the systems on my Passat and VW, do adaptations, etc. If you understand VCDS, this tool is very similar in abilities.